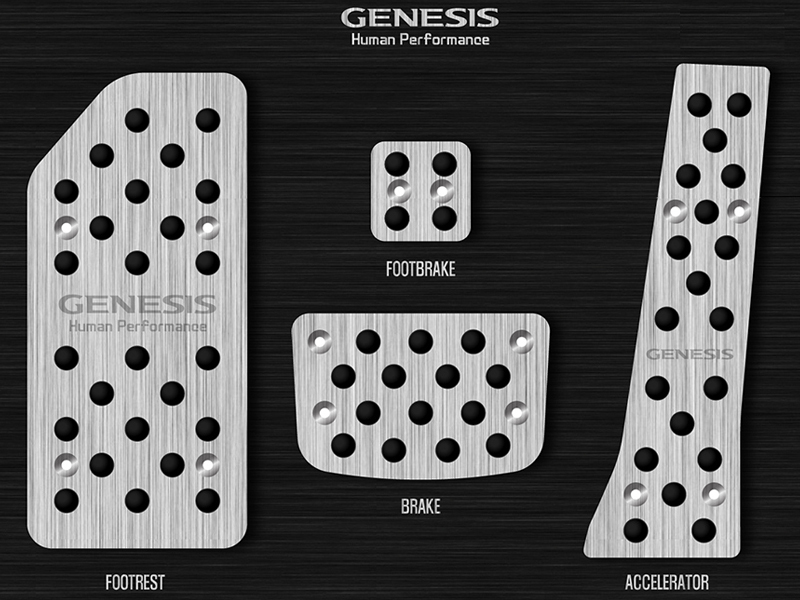 D-Auto aluminum pedal set with specialized "grip" rubber for 2015+ Hyundai Genesis sedan with automatic transmission. (Design and/or text may vary from pictures). 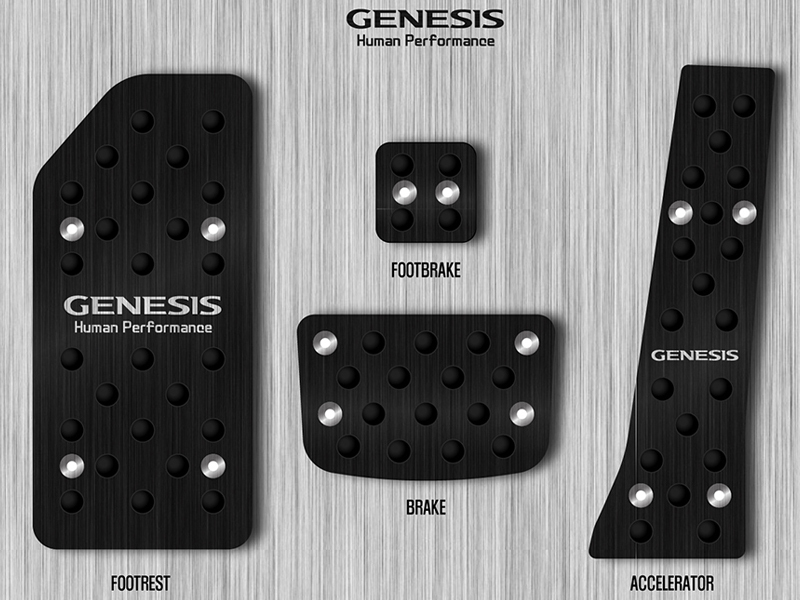 These are a direct replacement or overlay (depending on the vehicle) for the OEM pedals with no modification needed. Great dress-up accessory to add a unique touch to your interior. Please be sure to include in a message during checkout if you would like black or silver upon checkout. If no selection is made, we will send whatever option D-Auto provides. This item is imported from our Korean office after an order is placed, so please allow 2-4 weeks for delivery.